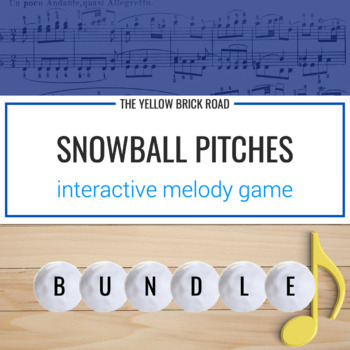 This bundle of interactive melody games is perfect for practicing mi-so, mi-so-la, do-re-mi, and pentatonic melodies during the winter season. There are two different games from which to choose. 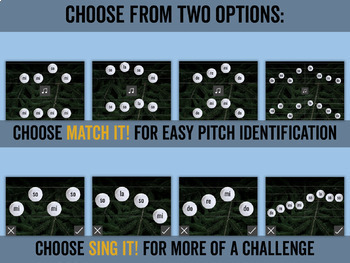 You can have students match the pitch patterns to what they hear or try the more challenging game, in which students sing the patterns. The matching game would be great for a non-music substitute! Check below for links to individual games. The storyline will keep students engaged as they learn about the mischievous squirrels in the neighborhood and how they keep snatching everyone's stuff. 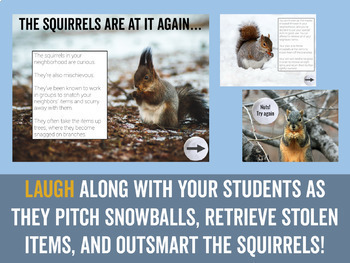 Laugh along with your class as they take aim and "pitch snowballs" to knock snagged items down from tree branches. 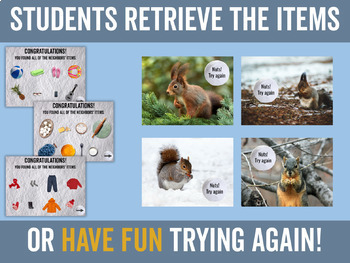 The game finishes with students retrieving all eight items and discussing what the squirrels were planning to do (a conversation that's sure to be entertaining).